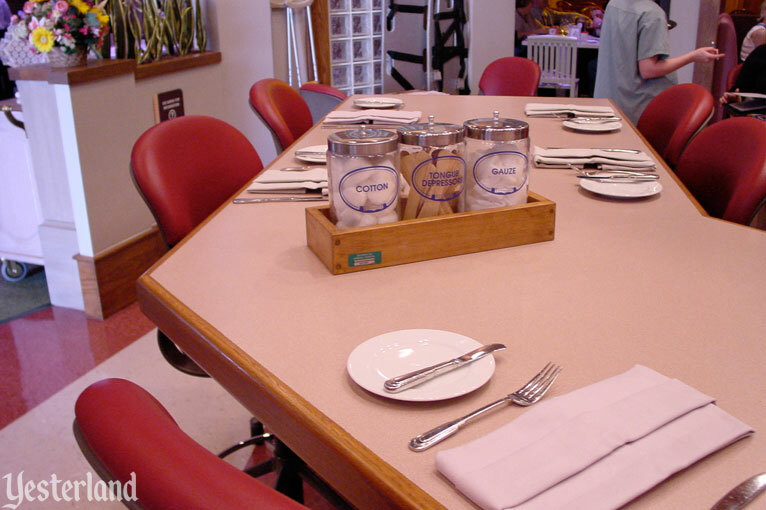 Get ready to dine dramatically! Step into ABC’s hot daytime dramas—Port Charles, All My Children, One Life to Live, and General Hospital. 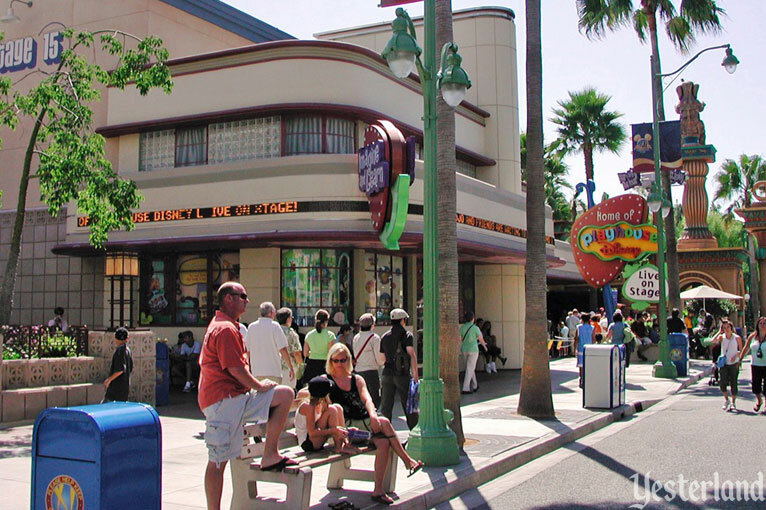 This table-service restaurant is just past the Hollywood Pictures Backlot Elephants. Only, it’s not called the ABC Daytime Drama Bistro. 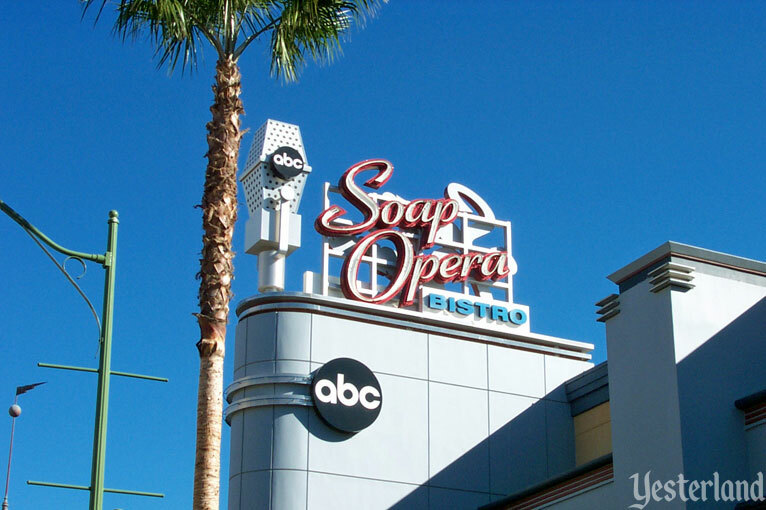 It’s called the ABC Soap Opera Bistro. 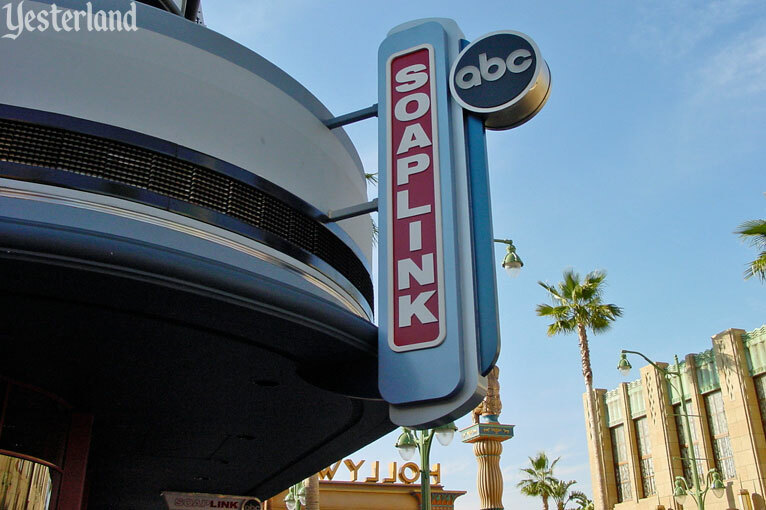 The term “soap opera” comes from the detergent manufacturers who sponsored daily serials about interconnected lives and loves, first on radio and then on television. Before you go inside, take a look at a menu to the left of the front door. Did you enjoy the puns? California Adventure might be the “Punniest” Place on Earth. “Prime Thyme Roasted Chicken,” haha. Give yourself extra points if you know who Erica, Tad, Asa, Nora, Vicki, and Bo are, and why particular menu items are named after them. Regardless of when you eat, your table and dining room will be as dramatic as the food. 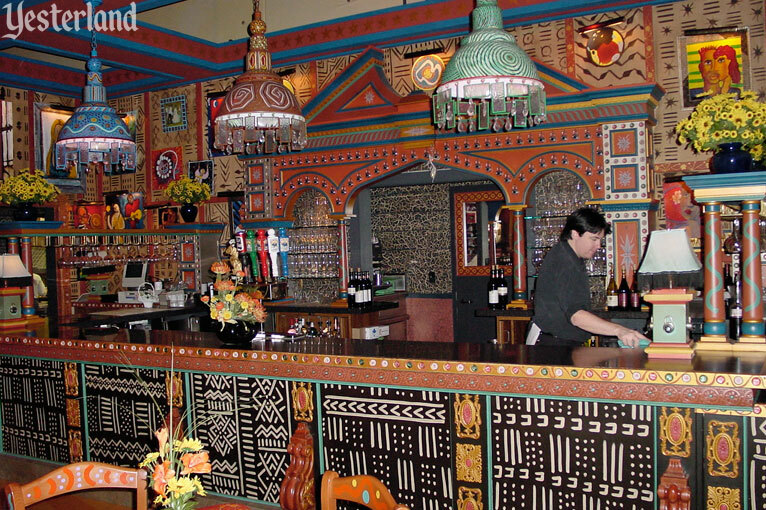 If you think the menu is clever, wait until you see the dining rooms. Step into the reception area. Here’s where people would wait for a table—except that there’s never a wait. An ABC page will show you to your table. 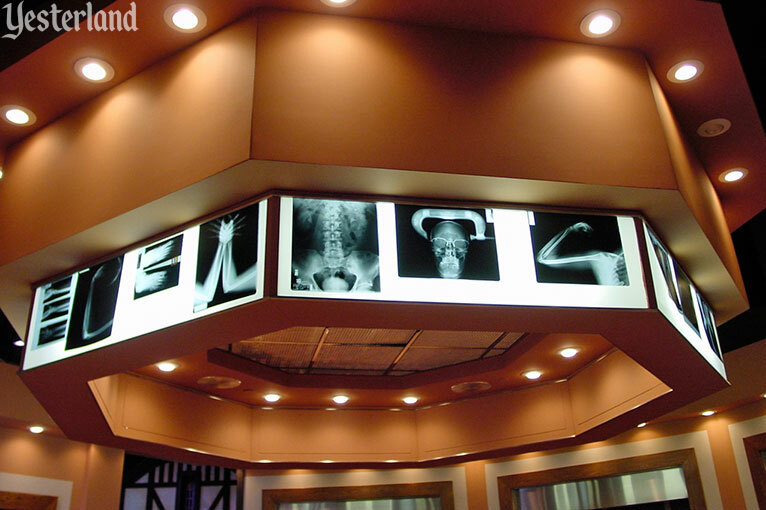 Medical decor surrounds you as you dine at the General Hospital nurses’ station. The details are authentic and witty. Even the dining chairs are different throughout the various dining rooms. The chairs in the nurses’ station look like office chairs that you might find in a real hospital. “Please pass the salt and a tongue depressor.” Sorry; the tongue depressors are just props, and you can’t remove the lids from the containers. The servers are not just there to take your orders and serve your meals. They’re dressed as soap opera characters—such as a butler, candy-striper, orderly, doctor, or policeman—and they treat you as a character too. You’re part of the intrigue and scandal that form the plots of daytime dramas. You might be accused of embezzling money or being someone’s mistress—or both. Maybe you’ll be addressed as the Chief of Surgery, and be called upon to make important decisions. 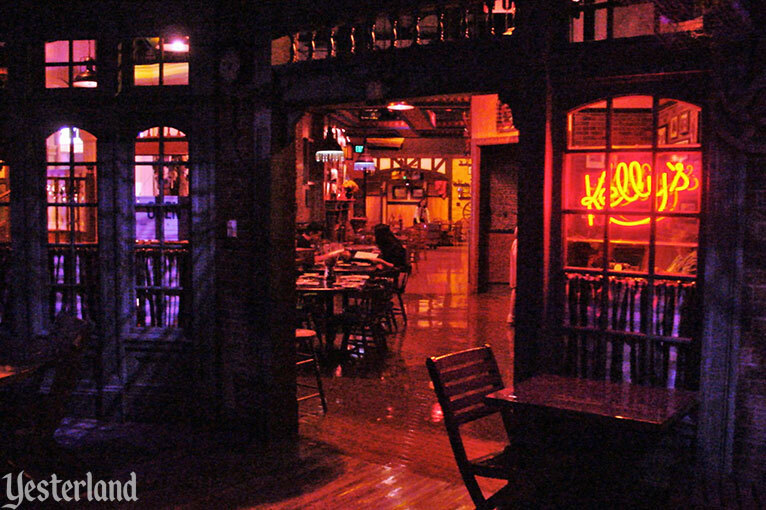 Have a drink at Luke’s Night Club, just like characters in General Hospital. Ex-mobster Luke—that’s Lucas Lorenzo Spencer—of General Hospital is the co-owner of Luke’s Night Club. 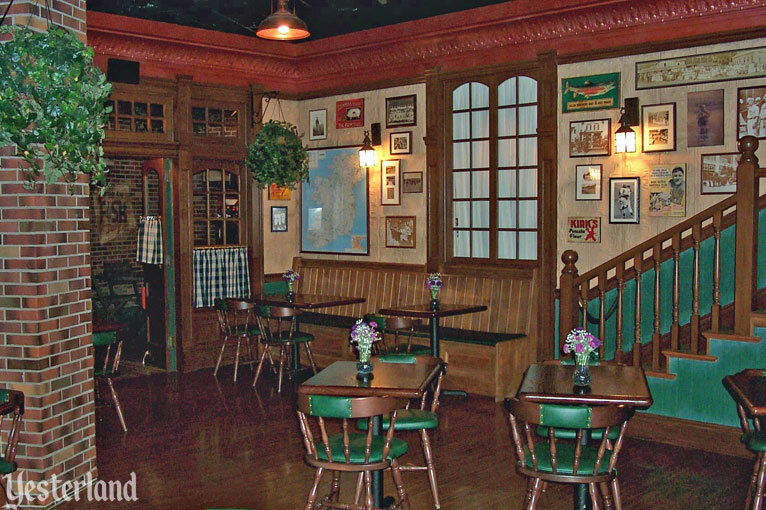 It’s not just one of the hot spots in the fictional town of Port Charles, it’s also a real bar in the ABC Soap Opera Bistro. 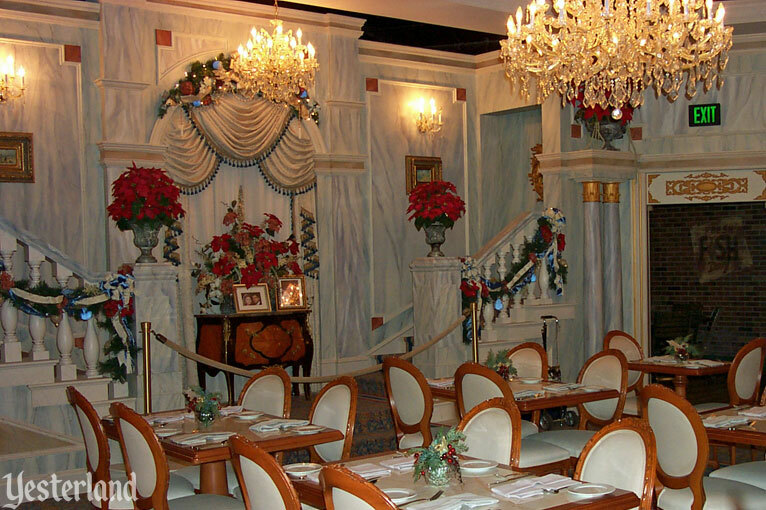 Eat in a restaurant themed to look like a restaurant. Kelly’s Diner is from General Hospital too. 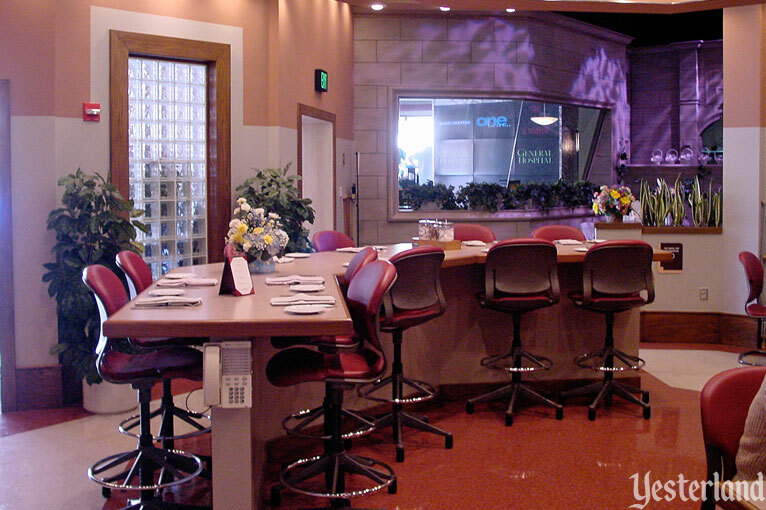 Luke Spencer is also a co-owner of Kelly’s Diner, another dining room in the ABC Soap Opera Bistro. 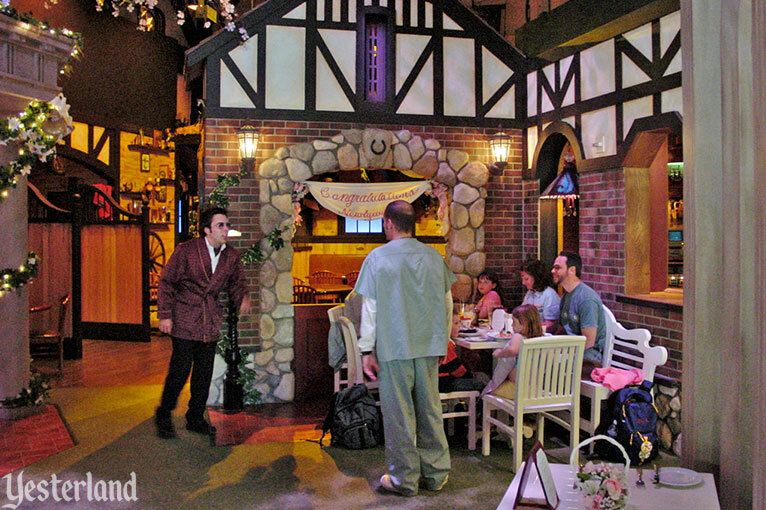 There’s more to the ABC Soap Opera Bistro than just General Hospital. A portrait of Adam Chandler watches over the dining room based on the Chandler Mansion from All My Children. It’s always Christmas at the Chandler Mansion. Another dining room re-creates the Llanview Country Club from One Life to Live, complete with a wedding gazebo. After you finish dining, it’s time for shopping. 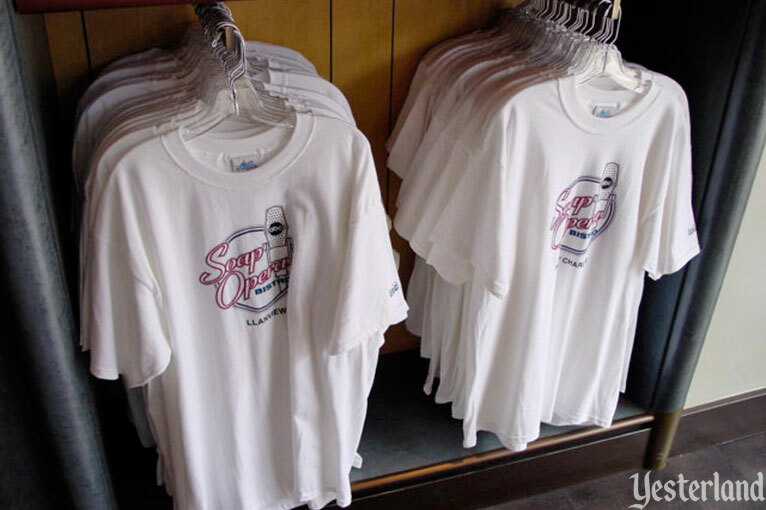 Buy a tee shirt or General Hospital scrubs at SoapLink, the Bistro’s store. It isn’t just a place to shop for logo merchandise. You can also buy one-of-a-kind items from actual soap operas, such as real costumes that were worn by soap opera stars. If you enjoyed your breakfast and lunch, end your ABC Soap Opera Bistro day with a big dinner and full bar service. There are plenty of tables, and most of them are empty most of the time. 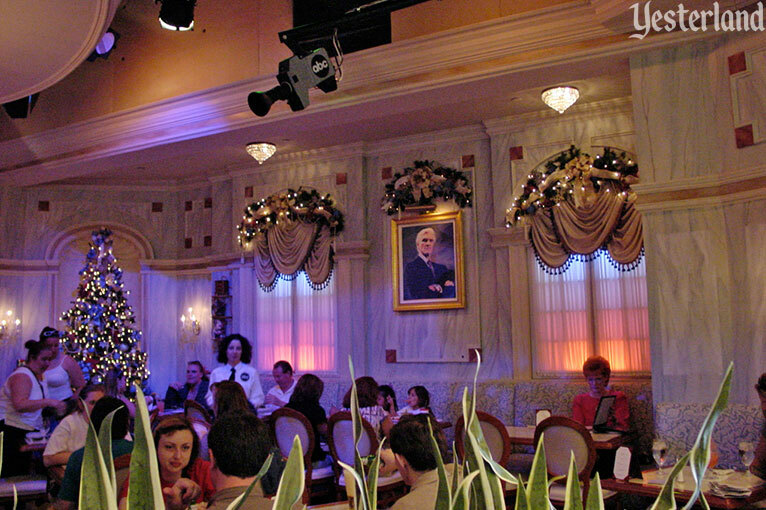 ABC Soap Opera Bistro opened to the public on February 8, 2001, the official opening day of Disney’s California Adventure. 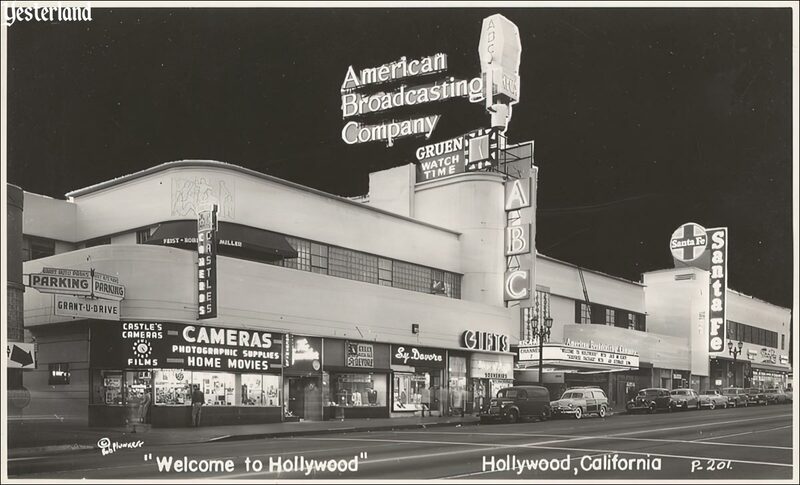 One day earlier, stars from the ABC series Port Charles, All My Children, One Life to Live, and General Hospital participated in a grand opening ceremony for the press. 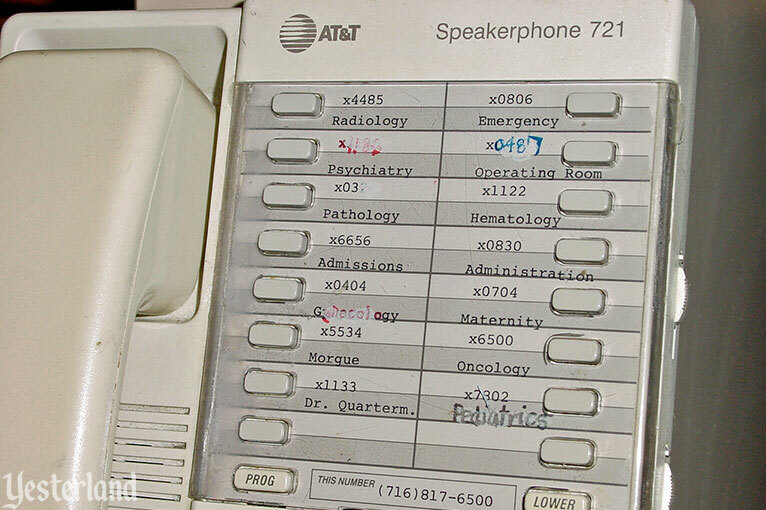 General Hospital premiered on the ABC network on April 1, 1963, and celebrated its golden anniversary on April 1, 2013. The show continues to offer new episodes, even though soaps seem to have run their course. 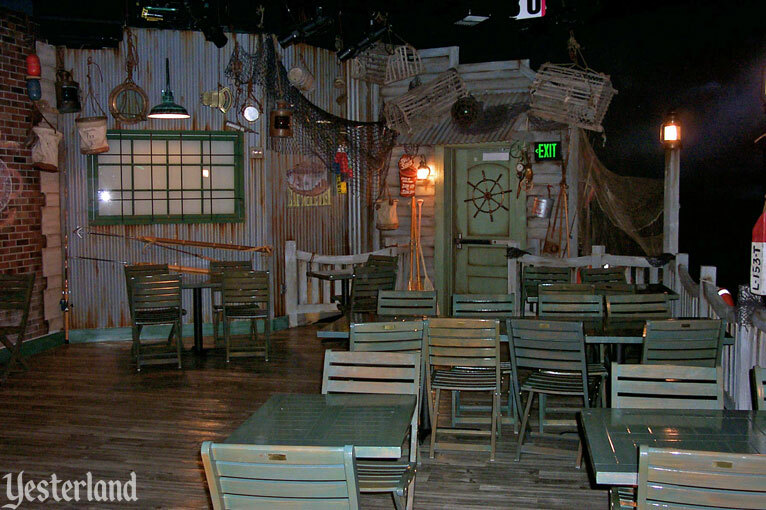 The restaurant that allowed guests to dine in re-created sets from General Hospital didn’t last nearly as long. 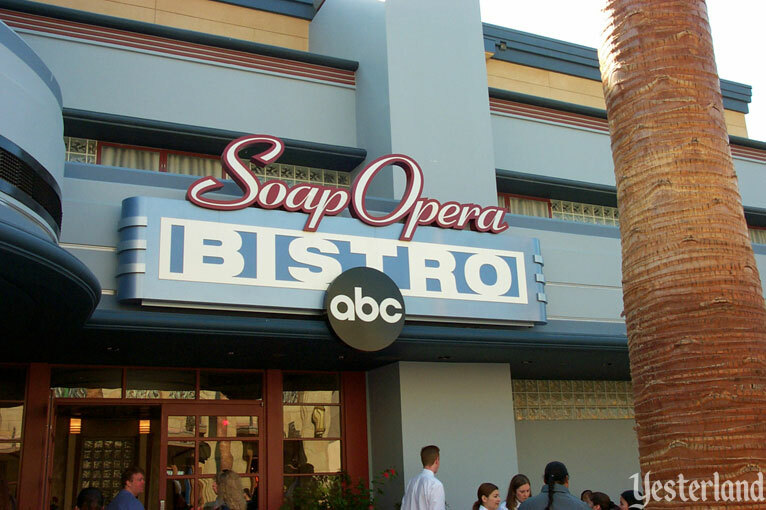 ABC Soap Opera Bistro closed permanently on November 3, 2002, after struggling for 21 months. The ABC Soap Opera Bistro had a reputation for good, if pricey, food. 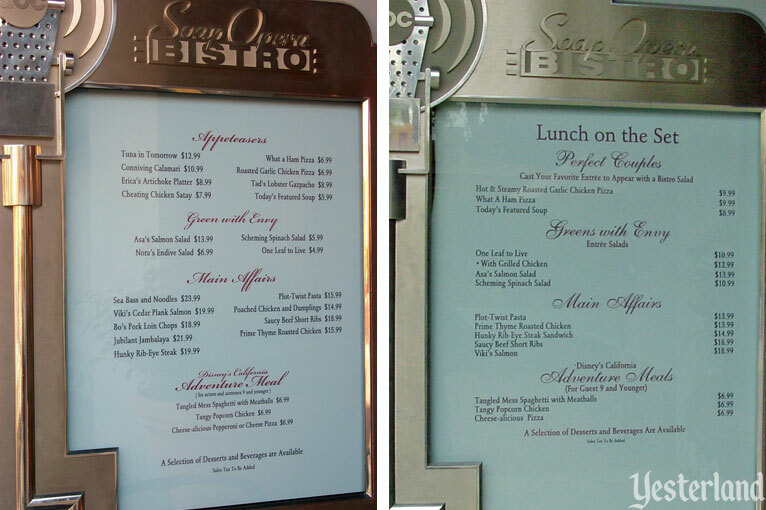 If you look at menus in this article, the prices don’t seem that bad—but remember that these menus are from 2001 and 2002. The atmosphere and improvisational actors/servers were fun, even for guests who never watched ABC daytime dramas—but it was best for those who did. 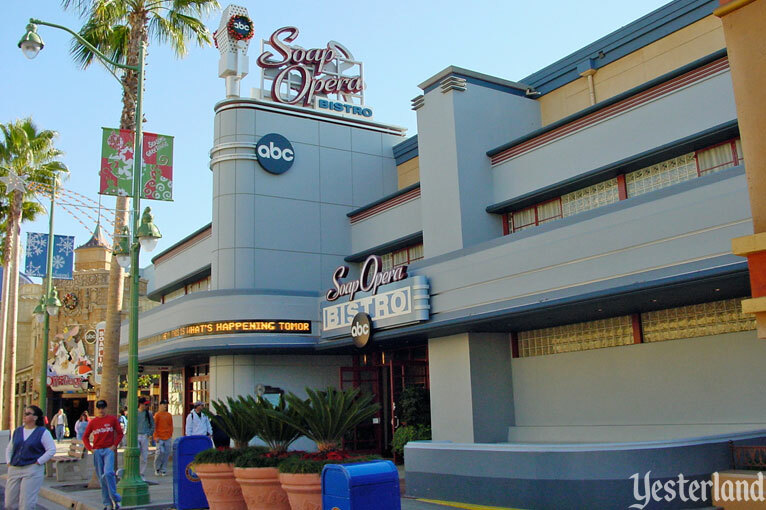 The restaurant was an attempt at synergy between The Walt Disney Company’s ABC television network and Disney’s newest theme park. 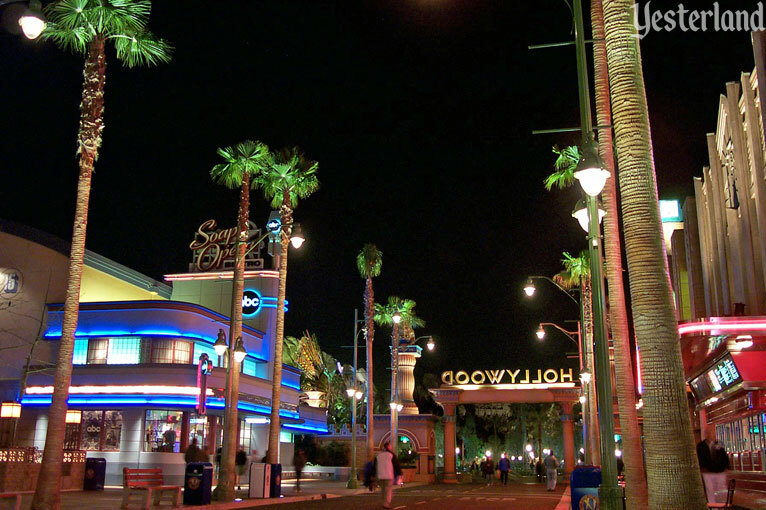 But Disney’s California Adventure opened with too much dining capacity and too few attractions for children. 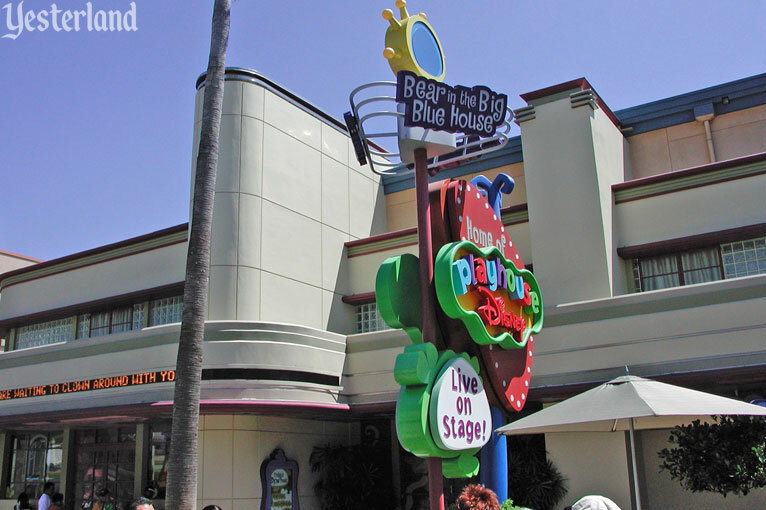 On April 11, 2003, the former ABC Soap Opera Bistro reopened as Playhouse Disney - Live on Stage! The musical revue and interactive show was primarily for young children (and their parents) who were familiar with Bear, JoJo, and Stanley. Unfortunately, whoever designed the sign made no effort to fit in with the theme and era of the street. Over the years, the show has been updated and renamed. 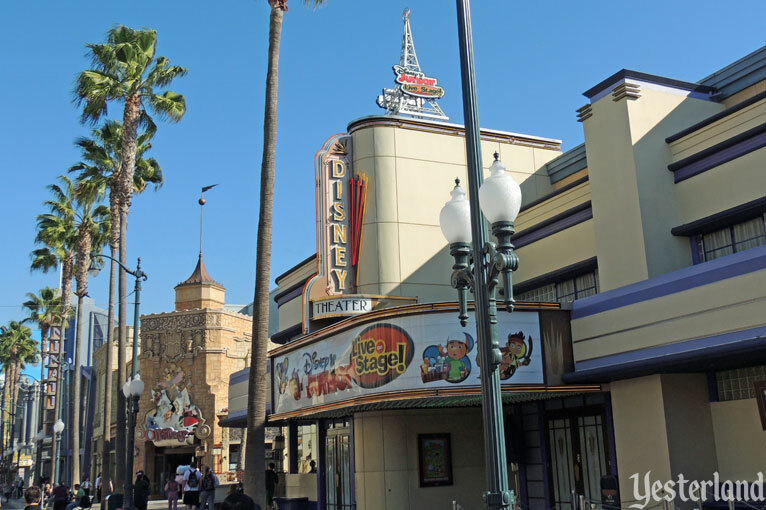 Fortunately, the signage was also updated to match the style of the building and the era of the Red Car Trolley.